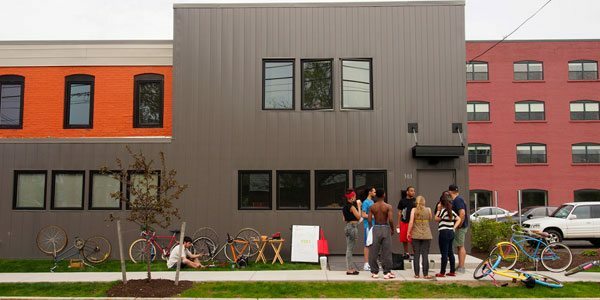 As the Syracuse Post-Standard details, private nonprofit Syracuse University, which had invested nearly $100 million over the past decade to support a community-building strategy known as the Near Westside Initiative (NWSI), centered in a neighborhood rated the ninth-poorest census tract in the United States, is winding its support down. “Over the past decade,” Eisenstadt writes, university support helped turn “crumbling factories into modern workspaces” and “blighted homes were rebuilt into gems.” The effort also included transportation and streetscape improvements, neighborhood leadership development, and very extensive cultural, educational, and health programs. One of the things that made NWSI unique is that the focus neighborhood was not in the immediate campus district, but rather down the hill, near downtown. In short, the initiative was one of choice, not necessity—a concrete manifestation of a commitment to serve the broader non-student Syracuse community. Now, Syracuse University is pulling back, although not leaving entirely. Eisenstadt notes that the university will continue to pay rent for space in a building owned by the Near Westside Initiative, as well as maintain a community health program. But large-scale support is over. At one level, what Syracuse University is doing is no different than any foundation whose multi-year initiative is ending. The nonprofit Near Westside Initiative has some challenges right now, such as the lack of an executive director, but it has resources that make long-term sustainability of an independent initiative possible. Sheena Solomon, director of neighborhood initiatives at the local Gifford Foundation, has stepped in as “the de-facto volunteer leader for the group.” Another resource, as Eisenstadt explains, is real estate NWSI owns that brought in earned income of “about $714,000 for 2015 and 2016.” Solomon is optimistic about the group’s chances to sustain itself, either as a standalone nonprofit or by joining another nonprofit organization. Many of the buildings that were redeveloped as part of the Near Westside Initiative are now owned by the nonprofit initiative. The idea was that the revenues from those properties could one day fund the group. The final stage envisioned a self-sufficient group run for the neighborhood, by the neighborhood. But this was not the case when Syracuse University, under then-chancellor Nancy Cantor, launched the initiative a decade ago. Indeed, Syracuse University’s dedication of resources to benefit low-income residents stirred national controversy, including an article in the Chronicle of Higher Education, titled “Syracuse’s Slide: As Chancellor Focuses on the ‘Public Good,’ Syracuse’s Reputation Slides.” Cantor weathered the criticism, but ultimately decided to leave the university after nine years at the helm. Cantor now is chancellor at Rutgers University–Newark, where she has championed a similar approach with the Newark, New Jersey community. So, it is slightly ironic that Syracuse University, which helped pioneer this vision, is pulling back, even as many other institutions are following the path it helped develop. University presidents, it might be noted, are not known for taking a stand on economic inequality. Nonprofit hospital leaders have made similar arguments. What is driving this? There are many factors. But one is the reality that public and nonprofit hospitals and universities are physically “anchored in place”—that is, they cannot move nearly as easily as corporations can. As a result, they have what the famed French observer of the United States, Alexis de Tocqueville, once called an enlightened self-interest to make sure that neighborhoods around them are healthy and thriving. And because these institutions are often leading employers, purchasers, landowners, and investors, if they coordinate, they can impact neighborhoods. This summer, the Annie E. Casey, Surdna and McKnight foundations released a report through the Anchor Institution Funders Group that highlighted efforts under way in Baltimore, Chicago, Minneapolis-St. Paul, Denver, and Albuquerque. Of course, this is not to deny dangers, such as fostering gentrification instead of resident-based community building. Nonetheless, the field is getting more sophisticated. Last week, The Democracy Collaborative released a report, profiled in Next City, based on six campuses including Cantor’s Rutgers-Newark, that identified best practices for guiding the work—namely, leadership support, a strategic plan, cross-departmental committees, clear metrics, and a commitment to relationship-building with non-university actors. Many of these best practices, of course, reflect lessons learned by Syracuse University and other pioneers—be they large schools like the University of Pennsylvania or small ones like Memphis’s LeMoyne Owen.